Originally trained in the visual arts, Lyn Horner has worked as a fashion illustrator and an art instructor for Art Instruction Schools (famous for their “Draw Me” heads). Looking for a creative outlet after her kids left home, she started writing. The Texas Devlins series consists of three books; the first is White Witch, the second is Darlin' Irish, the third is Dashing Irish. She also has a Kindle-ready memoir, Six Cats in My Kitchen. For more information, visit Horner’s website. I enjoyed Darlin’ Irish (originally titled Darlin' Druid), the first book of this series. Its combination of a solid western romance storyline with a unique twist on the formula, provided by the infusion of a significant amount of the supernatural was a fun read that was very different. 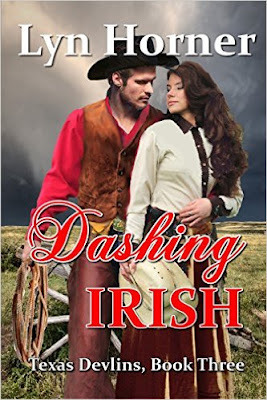 Dashing Irish continues the story, this time focusing on Tye Devlin, the brother of the heroine in the first book, and the romance that kindles between him and a neighbor who has a history with his new brother-in-law. For much of this book, the supernatural aspect of the series felt almost absent; mentioned, but low key and insignificant to the plot. However, the sexual tension between the hero and heroine was so strong that throwing in too much of the supernatural would have felt like overkill. During the later part of the book, the supernatural talents of the Devlin family come more to the fore, as tension of all types increases. 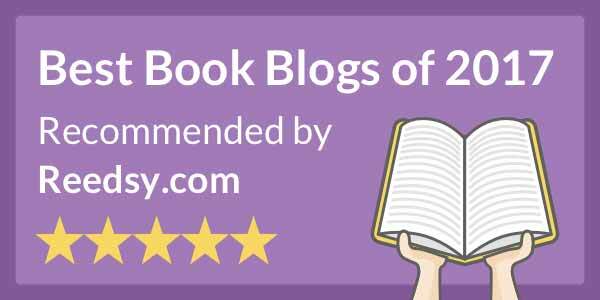 In the final analysis, I enjoyed this book even more than the first. I suspect part of that is that I (and I’m guessing most people) are able to become engrossed in a book easier and quicker if they have already “established a relationship” with the characters by reading and liking a prior book in the series. Could be read as a stand-alone, although reading the initial book of the series first is probably preferable.